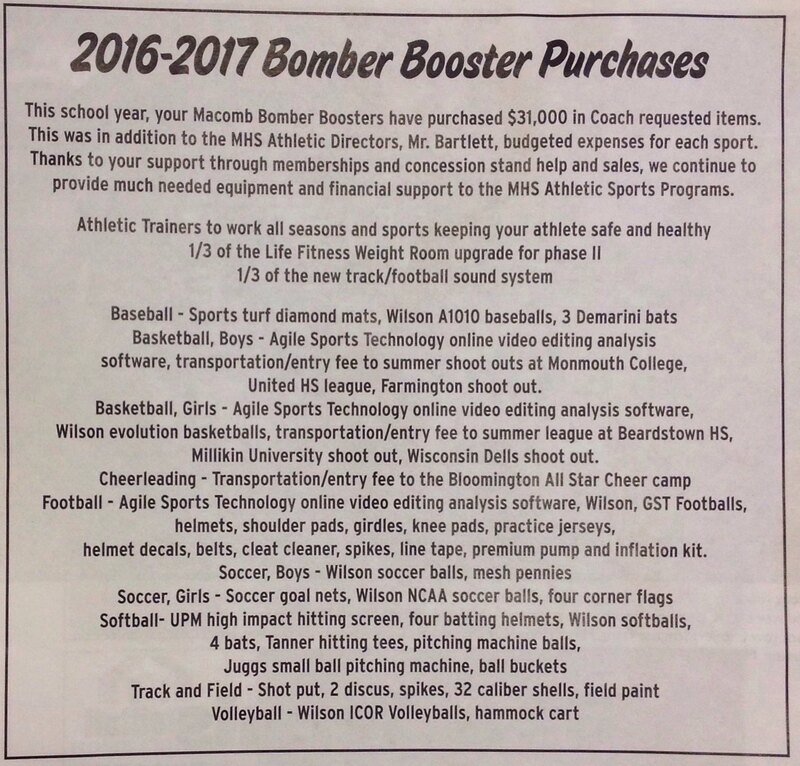 The Bomber Booster Club has spent $31,000 this year to buy items (and pay for athletic trainers) for our athletic teams. Without the efforts of many, many people, these items would not be available for our student-athletes. Thank you to everyone who has joined the Bomber Booster Club and to those who help our fund-raising efforts. Together, we are making a difference for our student-athletes.